Vote Again! 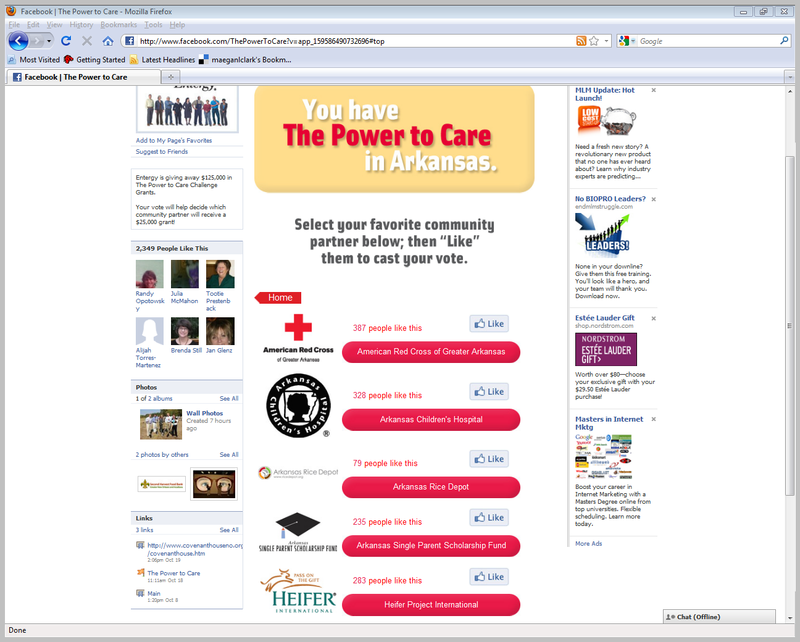 Help Us Win $25,000 to Fund a Project in Arkansas! You can vote every two weeks. Help us win by voting again! 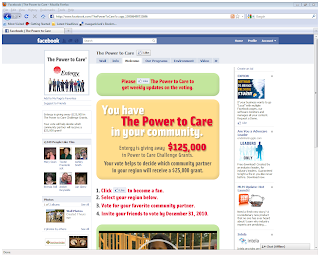 Entergy is awarding $25,000 in The Power to Care Challenge Grant to a community partner in Arkansas through Facebook votes. 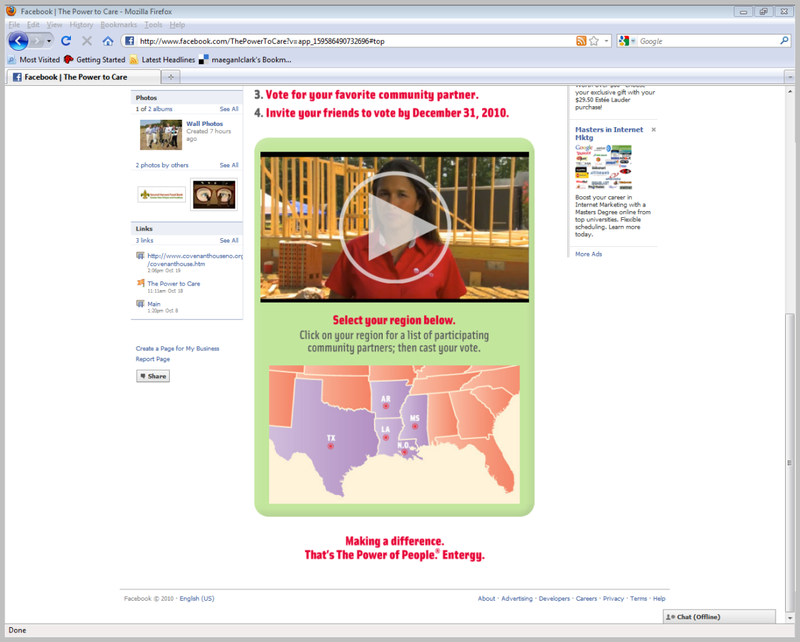 We need your vote to help Heifer win. 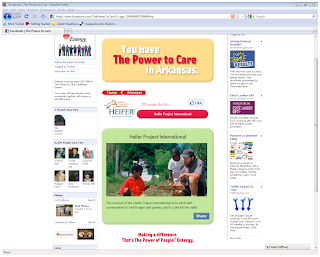 Heifer International will use the Entergy grant to support the Seeds of Hope project  an effort to create real, sustainable food security in southeastern Arkansas. The project will provide nearly 500 families with livestock, food production training and enhanced income, and establish two learning centers, three farmers markets and one community kitchen that will benefit additional families in the area. Update: As of Dec. 17, we are less than 200 votes ahead. While we have the lead, we need to hold on to it until Dec. 31. Please help us by voting again (if you're eligible) and asking others in your network to vote too. 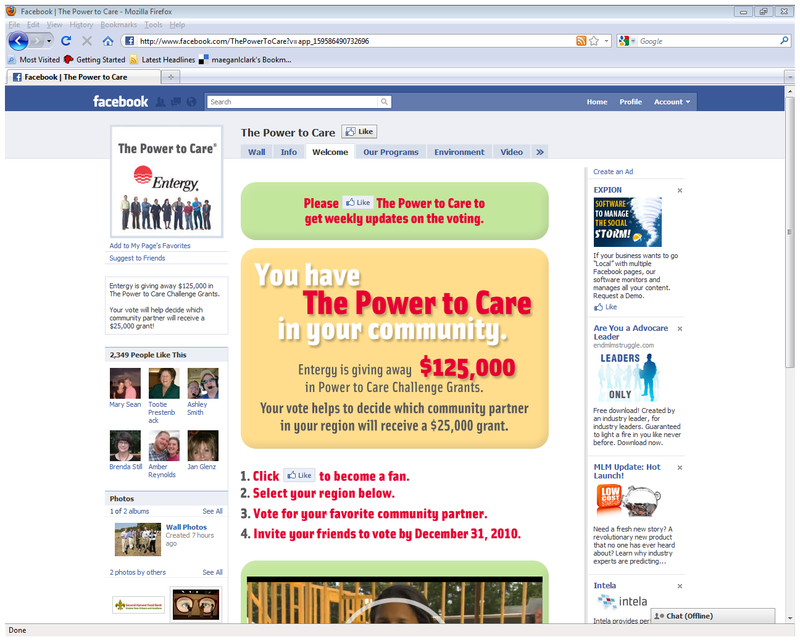 The steps are simple: Log on to Facebook and visit www.facebook.com/thepowertocare to LIKE the page. 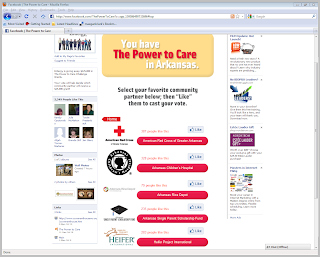 Once you LIKE the page, scroll down to the bottom where you see the map and click on Arkansas. 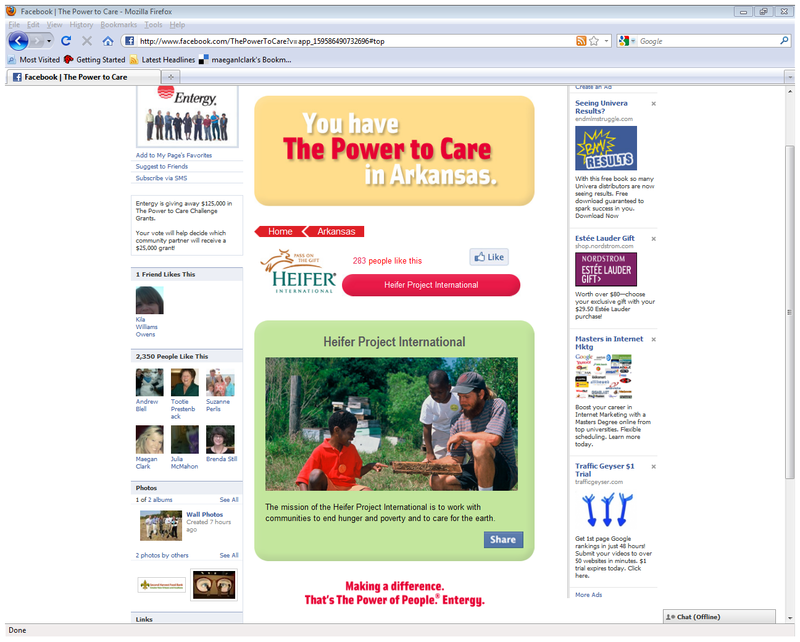 Once you click on Arkansas, you will be able to vote for Heifer by selecting Heifer Project International. 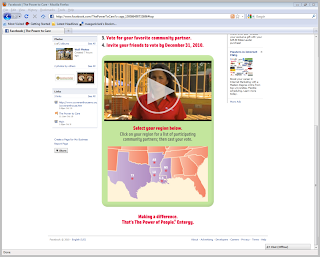 Once you click Heifer, share with your Facebook friends, and tell them how they can help make a difference! Next Article Unique Gifts: You Got Me a What? !